This photo serves as a link to a more comprehensive history of the nursing profession. The nursing profession – at least the “art” of nursing – has arguably existed since the conception of humanity; Though technically, nursing as it is currently recognized – i.e. 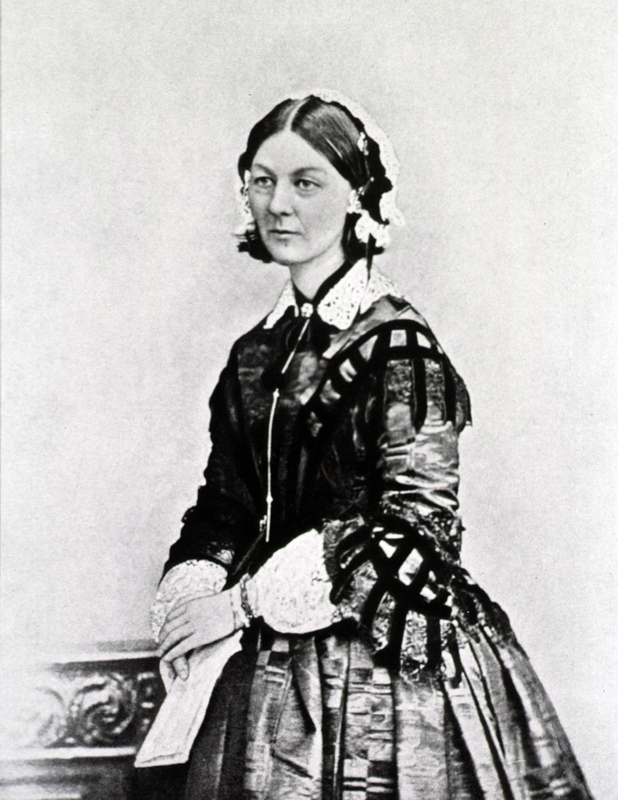 ‘modern nursing’ – began with the first efforts of creating a professionally organized group of individuals specifically trained for what I will take the liberty of referring to as standards for ‘nursing duties.’ Most sources seem to identify the opening of the first Nightingale School in 1860 at St. Thomas hospital, London, as the particular date and place in question. Not coincidentally, beginning with the Nightingale school, from 1860 up to the early 20th century the world experienced an intense, practically exponential proliferation of nurse-training programs, all with vastly differing standards. Naturally, the turn of the twentieth century experienced a disjointed and un-unified movement towards the registration of nurses in the United States, but was essentially gravitating toward some form of qualify-able standard. Unfortunately, the American people still lacked a conventional understanding of what being a nurse really meant; thus standards for ‘registered’ nurses continued to vary greatly. Moreover, while the Nightingale system was designed around an autonomous matron or superintendent that functioned independent of any hospital, as it was applied throughout the United States, it was deliberately altered so as to reflect preexisting hierarchies between untrained nurses and other medical professionals. Eventually, the majority of hospitals acquired control of their partnering nursing school institutions. The altered system that was employed became widely known as the “Bellevue” system, named after the first hospital in the United States to establish a corresponding nursing school and one of the oldest American public hospitals in general. The Bellevue Training School for Nurses opened in 1873 and for some period of time actually, functioned under a presumably purer form of the Nightingale System – ironically not the prevailing “Bellevue” system as it was recognized at other institutions. Regardless, it happens that this new “Bellevue” system would be the same system adopted by the Cincinnati Training School for Nurses in 1889. Before the training of nurses in partnership with hospital staff however, Cincinnati in the 1880’s was being serviced by a total of five hospitals – all of which had been suffering from inadequate and unsanitary facilities since the 1860s in addition to being serviced by practically untrained nurses. In order to address Cincinnati’s lack of care-taking professionalism and experience, several attempts were made during the 1880’s in the city to establish an effective training school. The Cincinnati Training School for Nurses, founded in 1889, has been the only one with much mentionable (or documented) success. The school was founded by The Society of the Cincinnati Training School of Nurses, which at the time included: Mrs. William Howard Taft, Miss Annie Laws, Mrs. John A. Gano, Miss Mary Eva Keys, Mrs. R.M.W. Taylor, Mrs. Frederick Huntington, and Miss Sara H. Woolley. These women were able to secure donations from the community to function and eventually contracted with the Cincinnati Hospital – which had opened in 1869, entirely replacing the previous and inadequate Cincinnati Commercial Hospital. Soon after this first contract solidified, Ms. Annie Murray was selected by the school as superintendent, and eventually was also selected by the hospital for the position of Head Matron. She became a powerful overseer of contemporary nurses at the hospital and nurses-in-training at the school. Under her leadership, the Nursing School developed a repertoire in the community leading up to the 1890’s. Murray is said to have kept detailed records of each nurse at the school that was later further developed by future superintendents. This photo serves as a link to a list of the graduated classes of The Cincinnati Training School, The Cincinnati Hospital Training School, and The School of Nursing and Health of the Cincinnati General Hospital from 1891 to 1945. Despite its growing prestige and perhaps even because of it, four productive years after opening, the Cincinnati Training School closed in 1893 as a consequence of multiple factors. As the school became more reputable, it was presumably viewed as a threat by untrained professionals who had “previously assumed leadership responsibility for the nursing service at Cincinnati Hospital.” Moreover, it appears that Miss Murray was not in favor with certain members of the Hospital Board of Trustees who, in consequence, demanded for control over her position, a demand that was not satisfied by the “Ladies Board of Managers of the Society to the Hospital Trustees.” This became a contemporary source of controversy in the Cincinnati community which was heavily influenced by sexist gender stereotypes. Tensions culminated with the school’s choice to withdrawal from affiliation with the hospital; the Hospital established their own school almost immediately after. 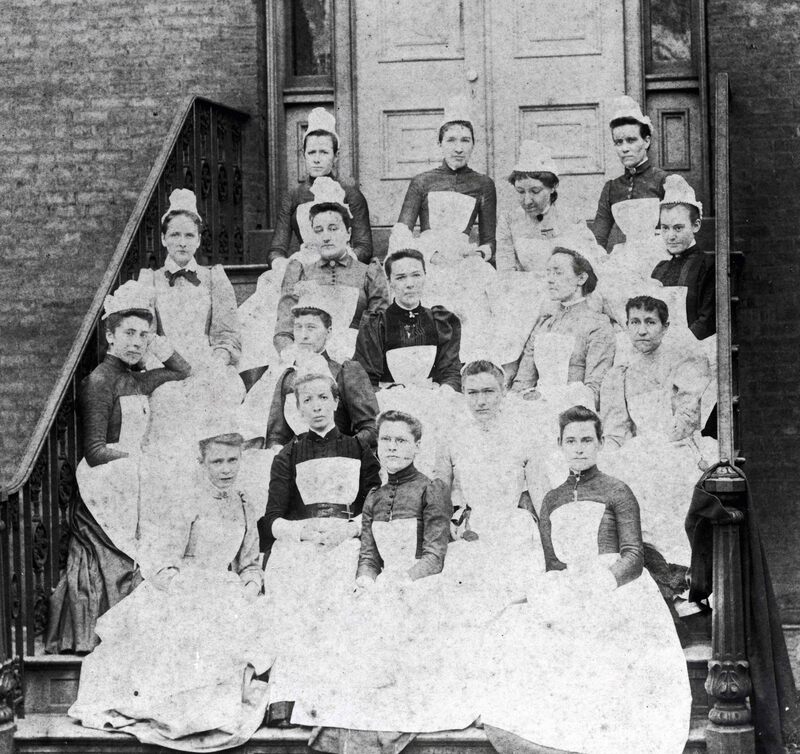 A lack of financial resources ultimately forced the closure of the Cincinnati Training School for Nurses in 1896. This image serves as a link to the article, “Dr. Christian R. Holmes, The Cincinnati General Hospital, and the Surgical Amphitheater,” that contains more history about the Cincinnati Hospital. The new school, The Cincinnati Hospital Training School, founded in 1893, was headed by Miss Murray’s right-hand, Olive Fisher, and largely based on the Cincinnati Training School for Nurses in 1896. Miss Fisher oversaw the programs progression from a two-year to a three-year program and was succeeded by Miss Katherine Ellison. Miss Ellison served for two years before being succeeded herself by Marguerite Fagen. A new hospital was built in 1915 – the Cincinnati General Hospital – which, while replacing the (again) long inadequate facilities of the Cincinnati Hospital, unfortunately also furnished new challenges for the nursing and other medical professionals of the hospital. Along with the building of the new facilities, the hospital’s nursing program was renamed to the School of Nursing and Health of the Cincinnati General Hospital and Miss Laura Logan accepted the position of School Director and Professor of Nursing. Under her leadership, the school was made a Department of the College of Medicine – Cincinnati became the second school to place nursing education in a university setting ! To-day (1916), there are in this country more than 1,300 training schools, with 40,000 student nurses in training and the number is steadily increasing. This demonstrates conclusively the necessity of the nurse as an important factor in our social fabric. – “The Trained Nurse”, Christian R. Holmes. “The Trained Nurse” in The Lancet Clinic. Practically immediately after the school was made a department, the University of Cincinnati was recognized as the first school to offer a program of nursing leading to a baccalaureate degree! Much of the information provided in this blog was the direct result of Ruth Moore Bunyan’s body of doctorate research titled, An Analysis of Selected Factors in the Development of Baccalaureate Nursing Education at the University of Cincinnati. At the very end of this hefty book’s abstract, she accurately states: “This study could be used as a core for the development of a complete history of nursing education in Cincinnati. Remarkably, at least to the best of my knowledge, her research remains the most comprehensive source available on Cincinnati’s nursing history. May her body of knowledge continue to inspire us today! Many thanks to Veronica Buchanan as well for her endless support and help in producing these blog articles. For more information, to view a collection, or for a tour of The Winkler Center, please call 558-5120 or email chhp@uc.edu to schedule an appointment.